Many drivers aren't aware of a problem with their brakes or exhausts until an MOT test or car servicing. However, these two parts are vital to the safety and performance of your car meaning its important to keep car exhausts in top condition. 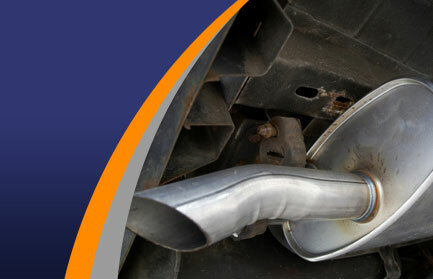 Exhausts are usually made up of at least 4 parts, and any one of these can need replacing at any time. Having a properly fitted and functioning exhaust system is essential to your exhaust's operation, and will allow smooth exit of waste products; this is key in keeping your engine running smoothly. It is thanks to years of experience in the car garage industry that our skilled mechanics are able to quickly identify problems, suggest solutions and perform repairs or apply new exhaust systems. Having a car off of the road can be a major disruption to anyone's life, so the fitting of new car exhausts is always done thoroughly and efficiently, by trained exhaust mechanics. Road safety is our priority, so coupled with our reliable reputation, you're assured of a good job regardless of whether it's an inspection on your current exhaust system or replacement with a new one.